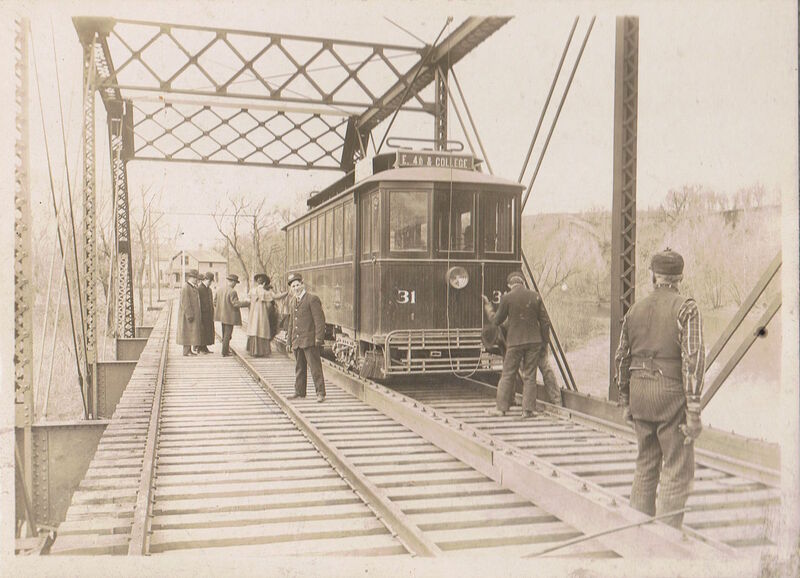 1 “Elevated Railway,” Sioux City History (http://www.siouxcityhistory.org/transportation/114-elevated-railway : accessed 27 January 2016). 2 “Faded Tracks: Long Gone, Streetcars Once Were Main Mode of Travel in Sioux City,” Sioux City Journal (http://siouxcityjournal.com/news/local/long-gone-streetcars-once-were-main-mode-of-travel-in/article_4e4f2808-7dd2-584d-aeee-788f17d2d903.html : accessed 27 January 2016), 22 January 2015. 3 “U.S, City Directories, 1821-1989,” database, Ancestry.com (http://www.ancestry.com : accessed 27 January 2016), entry for Henry J. Adam; citing “R. L. Polk and Co.’s Sioux City Directory, 1903-1904 (R.L. Polk & Co., 1903),” 92, and “U.S, City Directories, 1821-1989,” database, Ancestry.com (http://www.ancestry.com : accessed 27 January 2016), entry for Henry J. Adam; citing “R. L. Polk and Co.’s Sioux City Directory, 1907 (R.L. Polk & Co., 1906),” 92. 4 “Jottings About Town,” Sioux City Journal, 23 August 1896; digital image, GenealogyBank (http://www.genealogybank.com : accessed 8 September 2015). 5 “State Breveties,” Evening Gazette [Cedar Rapids, Iowa], 24 February 1897; digital image, GenealogyBank (http://www.genealogybank.com : accessed 8 September 2015). 6 100 Years Ago: Greenville Residents Push for Street Car Line, Sioux City Journal (http://siouxcityjournal.com/news/local/columnists/peterson/years-ago-greenville-residents-push-for-street-car-line/article_be386fc5-c1b6-5ae7-8b9d-cf18df29f9d6.html : accessed 27 January 2016), 16 June 2013. 7 “Faded Tracks,” Sioux City Journal, 2015. 8 “Faded Tracks,” Sioux City Journal, 2015. Hey Melanie! Good to hear from you. How is Henry Joseph Adam related to you? Dan and I are in Ft. Collins for the week helping Sir William turn 10 years old today! I love hearing from you. Blue sky and sunshine here as it is almost always. What a gorgeous climate. And in the Small World category, my Great-Great Grandfather Thomas Rubel and my Great-Grandfather Ray Rubel worked for the Leeds Streetcar Company, which later became part of the Sioux City Service Company, as mechanics. I have a photo of Ray with a crew at the car barn. And so our families have another common thread. Thom, that’s great! Thanks for sharing. Fenton’s Grandma Sarah lived in Leeds as did her son Charlie, but he worked for the railroad, not the streetcar.